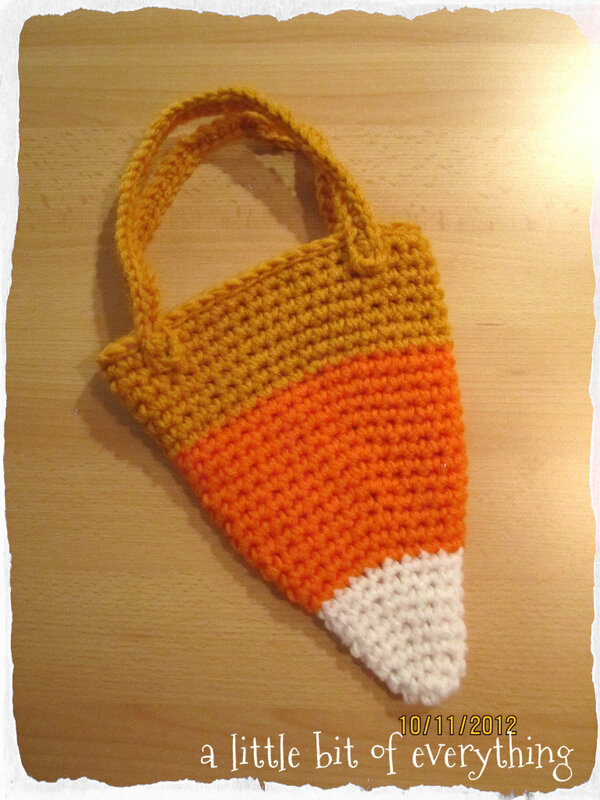 This adorable candy corn bag is a free pattern from Lionsbrand. It is crocheted and works up quickly using double strands of yarn. The directions call for felting the bag but I did not do that. Perfect for the little girl in your life! So cute! Love the candy corn! what a cute outfit if you combine it w/the pumpkin hat!! Precious. How ADORABLE!!!! I love this idea, really cute! And nicely done! Perfect little trick or treat bag! Thank you for sharing (found your blog on tipjunkie). I almost bought a crochet kit but chickened out. One day your beautiful and absolutely adorable designs will inspire me enough to just go for it. Thank you for sharing at Empowered Living Tuesday blog hop. Hope to see you back. This is so adorable! My daughter would love that bag!! I'm a new follower from the Friendly Friday blog hop! Nice to meet you! This is so adorable and just perfect for this time of year. Thanks so much for linking up to Making Your Home Sing Monday! This is so adorable! What little girl wouldn't love filling that with candy? Thanks for sharing with Share Your Cup. This is so adorable! I am visiting from the Monday Mingle and I am a follower of yours now. Would love if you could come visit and follow me. A Halloween classic made into a fun costume accessory! Very nice. Thank you for linking it up at http://www.finecraftguild.com A new linky party will open again tomorrow. Look forward to seeing you again then! Just followed via GFC on your site. Would love a follow back.